Most of us never think about certain luxuries in our life until they are not there for some reason. One such luxury none of us would want removed from us is indoor plumbing, however, plumbing issues or sewer issues can influence this immediately. That is where the experts at Melbourne 24 hour Plumbing bring their craft in to the picture as a necessity. We, the experts behind the craft, at Melbourne 24 Hour Plumbing bring perfection in to each job. Our goal is to provide for not only your existing need, but also a long-term and a lasting solution for your home or business. This methodology has enabled us to build our reputation with each new client. These services performed by the Melbourne 24 Hour Plumbing experts will not only be done to meet current needs but will make them your go to service permanently. We even have a team arranged for any emergency insurance work. These teams promise, and deliver measures exceeding the rigid requirements of insurance coordinators. The expert team at Melbourne 24 Hour Plumbing have a team standing by whose job it is to provide same day responses to insurance companies. Next, our professionals at Plumber Melbourne through their knowledge and pride will greatly exceed insurance requirements. In addition, a thorough before and after installation inspection will ensure zero leaks with your new fixtures. This service by our experts at Melbourne 24 Hour Plumbing will provide you with our 100% no incident record; something we are extremely proud off. When you have a problem give us a call, we will have your back. If you need insurance work, or a new installation, call us, and our team at Plumber Melbourne will be your solution. Our teams are led by their pride of perfection and look to bring that perfection to you at every opportunity. 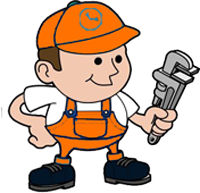 The answers to all your plumbing needs is Melbourne 24 Hour Plumbing. We let our actions in the field speak for us, so call us today for your next plumbing need. No matter how big, or small you will never call anyone else to resolve your needs in the future. Our phone number will be your go to for all your plumbing needs in the future. With so much to worry about as a homeowner or business owner, having a contracting professional such as Melbourne 24 Hour Plumbing is surely your lifeline.